When I got to last night’s Blazers game against the Orlando Magic, the first thing I noticed was this group of guys sitting in front of me wearing Google Places shirts. I was just about to ask if they were Google employees, hoping they were all carrying Nexus S devices until I realized there was a red shirt similar to theirs on every chair in the arena. 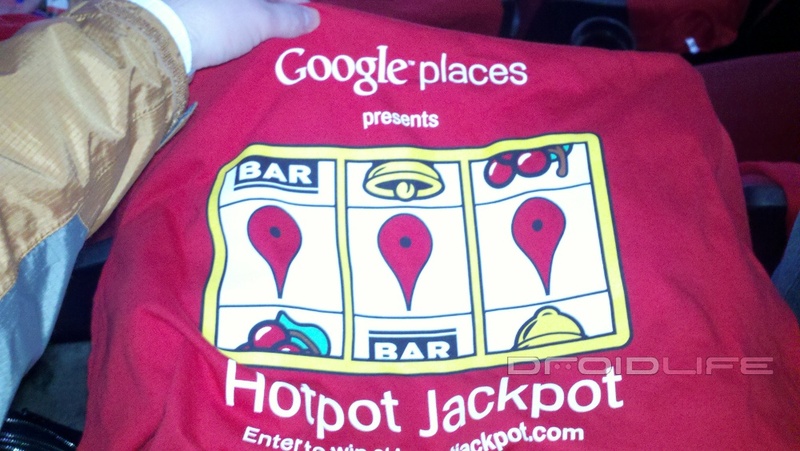 Sure enough, Google sponsored a “red out” of Blazers shirts and brilliantly placed their new Hotpot service on the back of them. Good stuff right? Well they didn’t stop there. Above every single urinal in every bathroom in the building, they had stickers reminding you of Hotpot with catchy slogans like, “Rate like a Racehorse” which of course received a nice laugh from those of us deep into a couple of pints. And then this morning, I wake up to a Google Mobile Blog post announcing Portland as the first to get a major Hotpot marketing campaign for this new service. They have already distributed business kits to some of the top restaurants and businesses in the area to help promote it, so expect to see Google Places stickers in the windows of your favorite cafe. Speaking of those stickers, if you have a Nexus S, you’ll be able to use that NFC chip to check in simply by touching one. Portland readers, be sure to check out the Hotpot blog for more, head to Voodoo donuts (either location) this Saturday for a special treat, and enter to win a dinner for 10 to your favorite restaurant here. And Google, feel free to send us a Nexus S to test on all of our favorite Portland pubs.